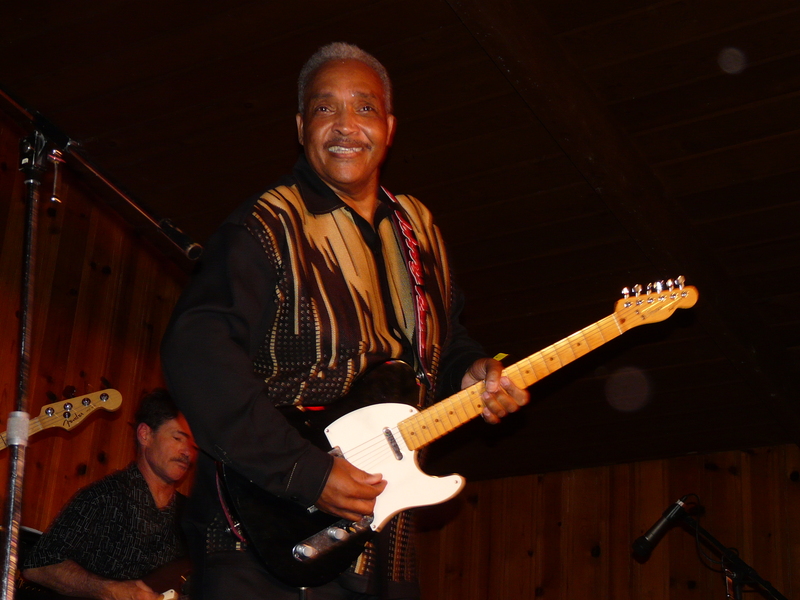 Soul Blues Legend Johnny Rawls will bring his music to Northern California on Thursday, December 13 at 7 pm at Pops Performing Arts & Cultural Center in Dunsmuir. Tickets available online or at the door for a $15 donation. Johnny Rawls is from Purvis, Mississippi, a small town with about 2,000 residents near Hattiesburg. While still in high school he played guitar with soul music greats Little Johnny Taylor, The Sweet Inspirations, Joe Tex and ZZ Hill. Rawls hooked up with a true legend when he became bandleader for O.V. Wright, working and learning with the man many consider the finest deep soul singer of them all. After Wright died in 1980, Rawls led the O.V. Wright band for 13 years, touring and backing up B.B. King, Bobby “Blue” Bland and and Little Milton. Johnny Rawls is on the tour that never ends. Since going out on his own, he’s been on a relentless jaunt from club to club, festival to festival, nation to nation. And the long road comes through Dunsmuir on Thursday, December 13, as Rawls comes to the POPS venue with his “Northern California All-stars.”. He will have spent November in Europe, and early December in Utah. Before December’s over he will also perform in Indiana, New York, and at Buddy Guy’s Legends in Chicago. As he said, he’s been gigging here for well over a decade, his first appearances at a now-defunct operation in Anderson. And he’s employed local musicians to back him up, eventually forming a tight ensemble of players he enjoys. Guitarist Harry Blackwell (of Dunsmuir’s The Blackwell Brothers and Haywire) has worked with Johnny for years at Oklahoma’s Dusk Till Dawn Blues Festival, and bassist Mark Grant is well-known for his grooving, rhythmic style. There’s Allen Bradlyn, drummer for The Jimi Earl Band and The Blues Rollers. Rounding out the ensemble is saxophonist Good Rockin’ Derral, Blues DJ for Jefferson Public Radio. The band is looking forward to welcoming Victor Martin to the stage as well! We hope everyone comes out to see this real deal blues and soul legend, with a soulful Christmas right here at home. We do have a ball when Johnny comes to town, and it’s a real-deal showcase for deep south soul and joy when his journey from Purvis comes through northern California.Tickets will be available for a $15 donation at the door.